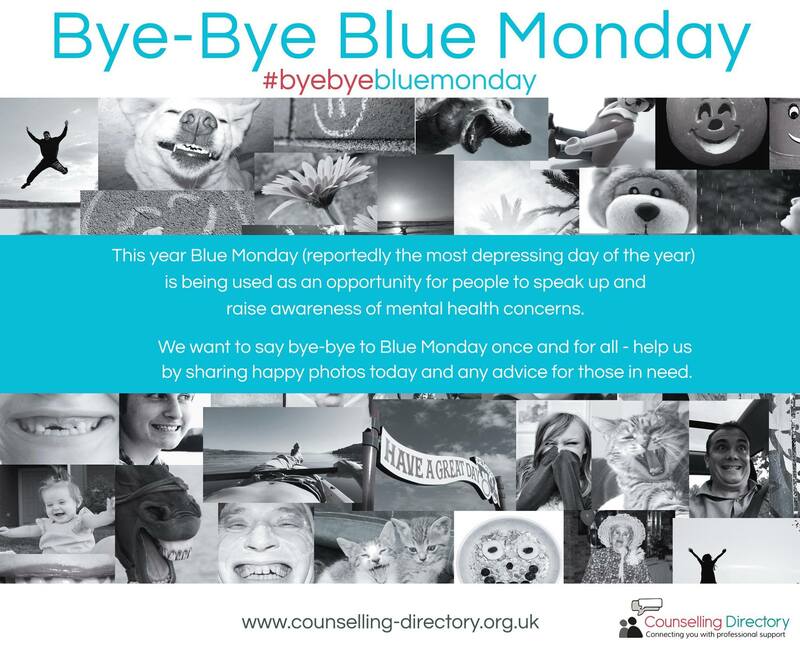 Why we're saying bye-bye to Blue Monday this year. Every year, the last Monday in January is dubbed ‘Blue Monday’. This is because, according to statistics, it is the most depressing day of the year. But why? Some say this is when the reality of ‘real life’ and being back at work after Christmas really hits home. Others say it’s because we are all strapped for cash, desperate for the long-awaited January pay packet. It could also be because January is a cold, dreary month. We’re starved of sunshine and without the excitement of Christmas or New Year to distract us, it can indeed become ‘depressing’. This year, the media wanted to turn the idea on its head, using the day as an opportunity to discuss mental health. 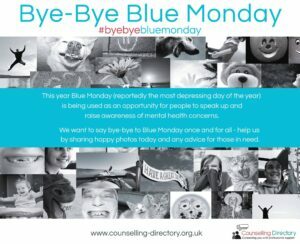 We believe talking about depression, how it affects people and looking at the various treatments is key to saying ‘bye-bye’ to Blue Monday, for good. In support of this campaign, we’ve asked our followers on social media to share happy pictures and offer any words of wisdom for those feeling down today. Get involved and share your tips on Facebook and Twitter.